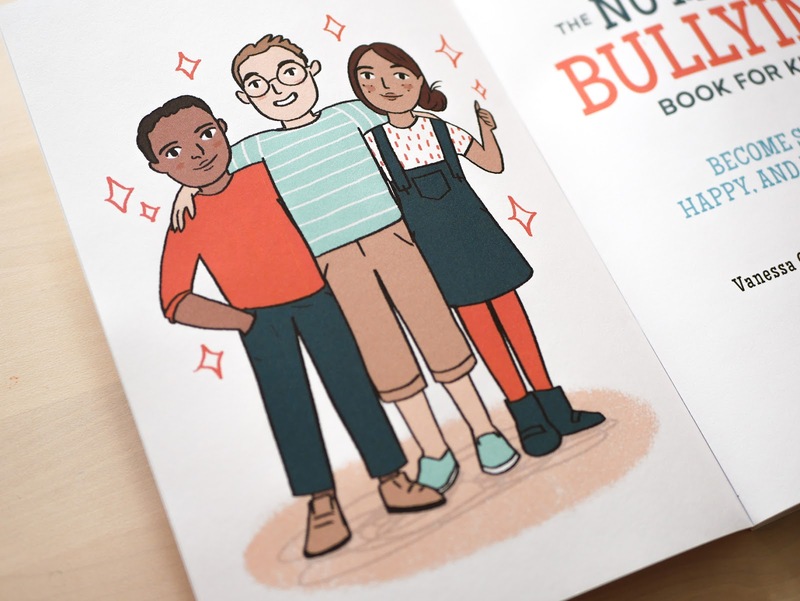 Emmeline Illustration: Illustrating 'The No More Bulling Book For Kids' - New Book News! 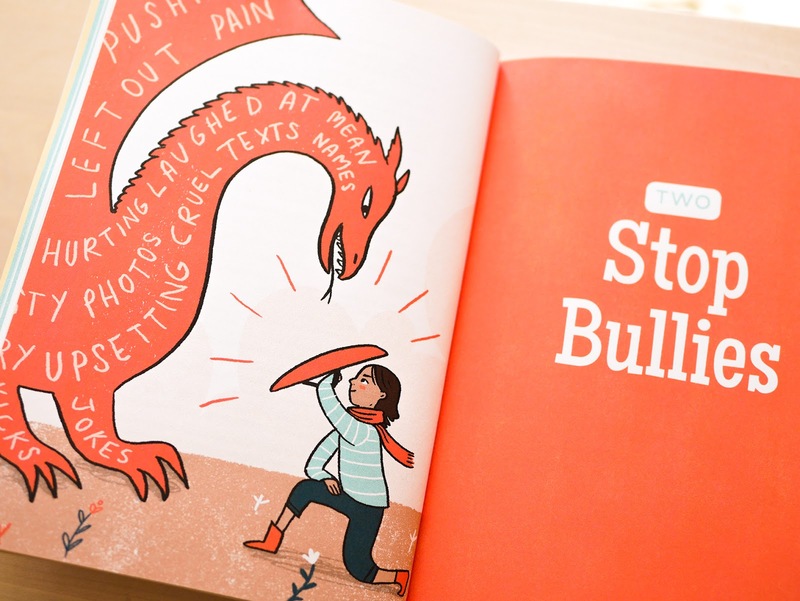 Illustrating 'The No More Bulling Book For Kids' - New Book News! Hey everyone! I'm really excited to finally share the new book I've illustrated - which is out right now! 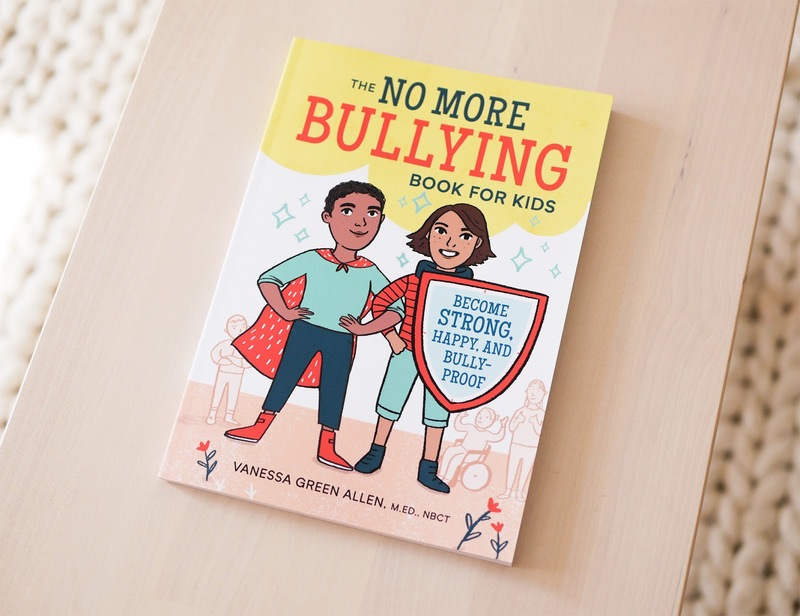 The No More Bullying Book For Kids is written by Vanessa Green Allen, and it was a joy to work with the team at Rockridge Press and Callisto Media to create the illustrations for this important (and charming) book. 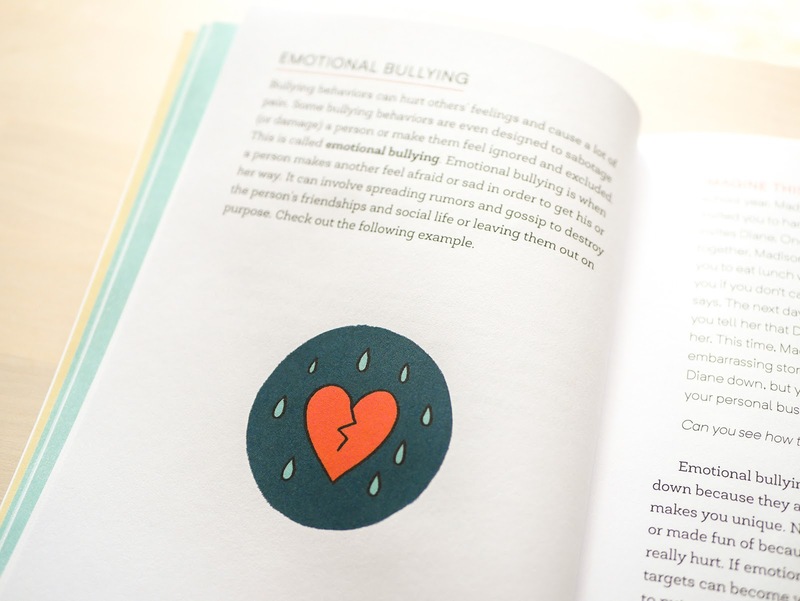 The book aims to help young people and their parents through the horrible experiences of a wide range of bullying. 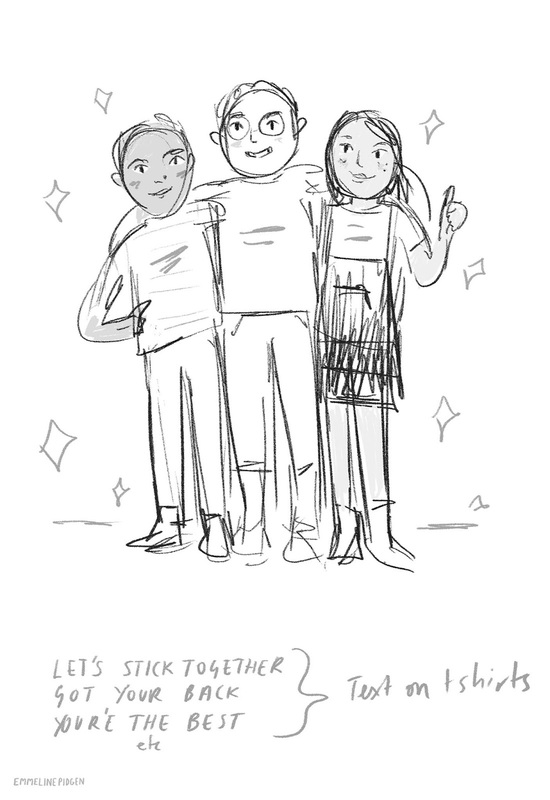 Having been through some of these things when I was younger, I wanted to channel that and show strong young characters to help encourage anyone who's going through this right now - it's really tough, and there's no one cure-all solution, but knowing that other people come through the other side happy and healthy can be useful. The book's full of encouraging tips and acts as a really great break down of a complicated and sensitive subject. Visually, the illustrations in the book were made completely digitally, using a simple, cheerful, limited colour palette using some of my favourite colours to draw with. 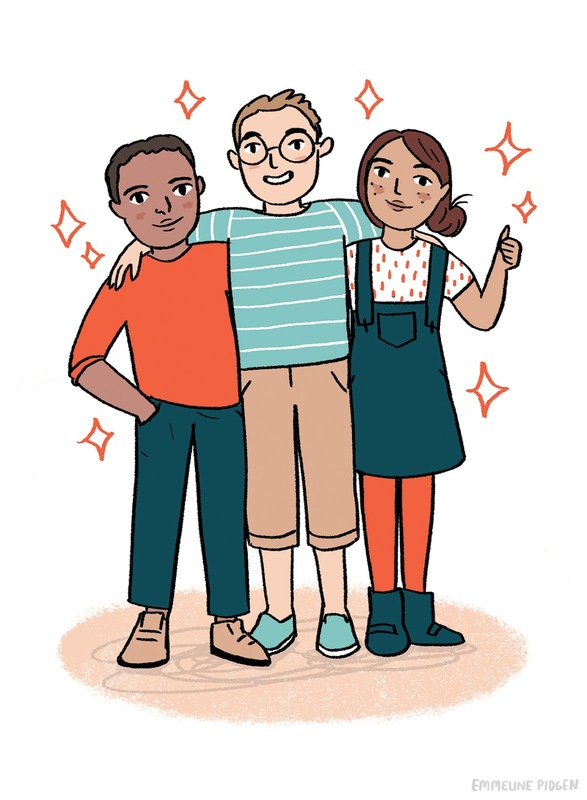 I loved creating the cast of characters for the book, they seem like such a great bunch of kids! I have to say I wish I had the outfit of the girl in the title page illustration (I always seem to end up drawing a wardrobe I wish I had!). The roughs stage for this book was really fun - a clear brief from the client, but room to experiment and bring ideas to the table (the best kind of brief!). I enjoyed working up alternate ideas in greyscale, especially with the 'Stop Bullies' illustration where I got to draw a tough-girl / dragon face-off! I'll be posting more of the prep and sketch work on my soon-to-launch Patreon page, so keep an eye out for that! The book is out right now! 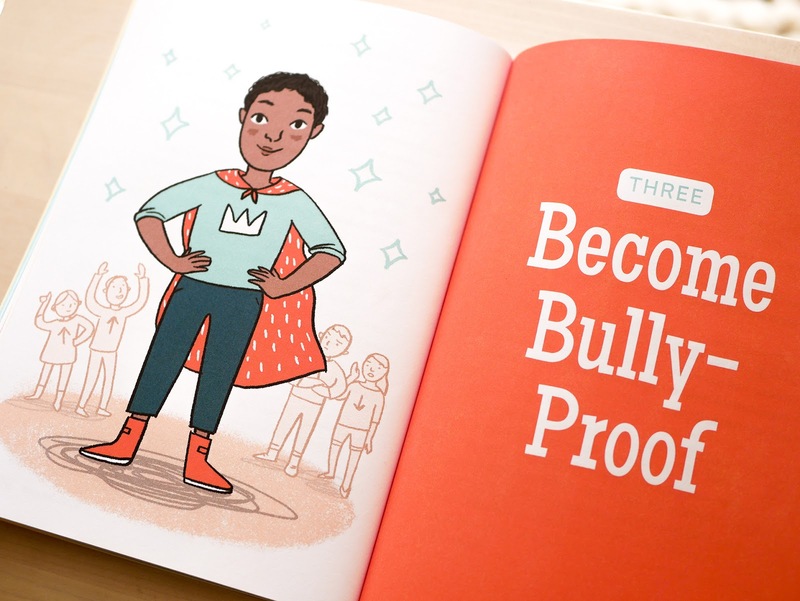 You can find The No More Bullying Book For Kids on Amazon in the UK and over here in the USA: http://bit.ly/NoMoreBullyingBook_ForKids. If you're in America you can also grab the chance to WIN a copy of the book over on my Twitter, Instagram, and/or by leaving a comment on this blog post before Friday next week! Winners will be drawn at 9am EDT on Friday 10th August (that's 2pm Friday in GMT)! Notes on the giveaway are below! For entry on this blog, please just leave a comment! Feel free to enter all three ways! USA only I'm afraid, as the publishers will be sending the prize out. When the winner is chosen (randomly) and announced I'll do my best to get in touch with them, then will pass their address on to the publisher to send the prize. I won't use or store your address for anything else. Competition runs from Thurs 2nd August to Friday 10th August. Pass it on! I appreciate all the support. Any questions, just ask!